Wake up everyday looking your best with beautiful, Smudge proof permanent cosmetics, and more! Permanent Makeup is a cosmetic tattoo that provides the convenience of not having to reapply makeup daily. 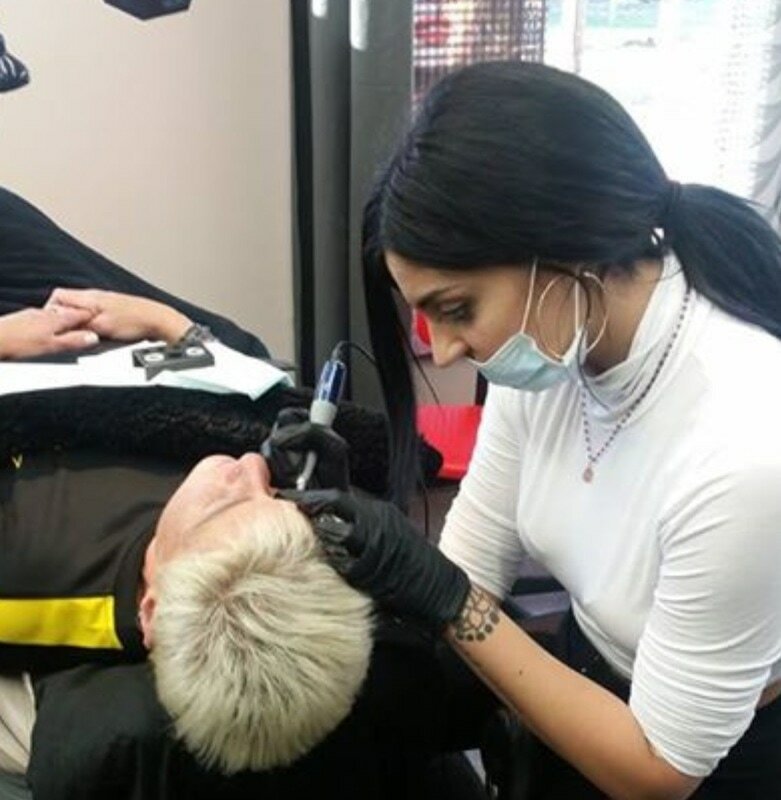 It enhances your beauty by updating and rejuvenating your appearance, and since it is a tattoo, permanent makeup is water proof and will not smudge or smear. Add more color to your lips, make your eyebrows fuller, enhance your eyes with eyeliner, and much more through the application of permanent makeup. Microblading: Semi permanent eyebrow tattoos that emulate natural hairs and last 1 to 3 years. Permanent Makeup: Imagine waking every day ready with flawless smudge proof Eyeliner, Lips, and Eyebrows. Eyelash Extensions: lengthen and thicken the volume of your lashes for that luxurious eye look. Ultrasonic Cavitation: a completely non-invasive body sculpting service. Tighten skin, smooth lines, melt fat, reduce cellulite pain free and comfortably. You must stay off any blood thinning products for 1 week before the treatment (aspirin, vitamins A,E), unless prescribed by a doctor. Do not work out the day of your procedure, it increases blood flow. You may want to schedule your procedure around your monthly cycle because of your sensitivity levels. When getting any eye procedures done you must be off Latisse for 1 month prior. Lash extensions must be removed prior to eye applications. Do Not Wear Contact Lenses During or Immediately Following the Eyeliner Procedure, Bring Your Glasses. You may resume wearing your contact lenses as soon as your eyes return to their pre-treated condition. If you are prone to cold sores around the lip area you must be on medication prior to lip color application. If you are considering Botox or any lip fillers, do them after your permanent makeup is complete. Any tweezing or waxing should be done at least 48 hours prior to the procedure; electrolysis no less than five days before. Any eyelash or eyebrow tinting or eyelash curling should be done at least 48 hours before the procedure. Any tweezing or waxing should be done at least 48 hours prior to the procedure. Do not resume any method of hair removal for at least two weeks after the procedure.